IT-F1 Ltd can design, project manage, and implement robust network solutions to suite your business requirements. Networks are now considered an essential part of the workplace. Along with the Internet, they are the key to maintaining a successful business. It is almost certain that you will need to connect your computers to a network to maximise the efficiency of your business. Computer networks have become business critical! IT-F1 Ltd can provide solutions for both inter-branch connectivity and for your home workers, bringing flexibility to your employees and efficiency to your branch offices. We can provide you with a secure and encrypted data link between all of your distributed locations. A number of options are available including mobile device synchronisation to your server (this facility is device & and server software dependant). 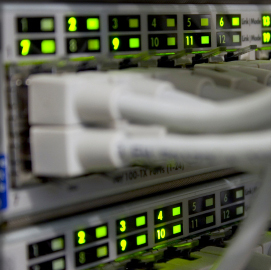 From Broadband to Dial-up and fixed to wireless, we offer the entire spectrum of connections. Share broadband in safety with the latest routers and firewalls; connect remotely to your home and business. Connect to email via Laptops and PDA's & Mobiles from anywhere in the world - we have the solutions. IT-F1 Ltd can offer you a complete solution for your Local or Wide Area Network. Whether you require a small peer to peer network or you are installing a new 75 user system, IT-F1 Ltd has the expertise to specify, project manage and maintain the correct solution. Inter-office networking is becoming commonplace even for smaller organisations, with branch offices or remote workers needing to access the same network or centralised resources. IT-F1 Ltd can help you to implement WAN solutions for your business. IT-F1 Ltd can provide security testing and remote system backup of your networks, to provide a robust security solution. Fire, flood, theft, viruses, worms, trojan horses, hackers, disgruntled employees - organisations today face an ever-growing number of threats to their IT systems. Nobody can afford to ignore these threats and their potential consequences. IT-F1 Ltd can implement a full backup solution for your business. Providing you with a reliable fall back, if your server fails or files are deleted. Our preferred approach is that of "online" backup this is done via some software installed on your system which can constantly or at pre scheduled times encrypt and send to secure off site storage servers your data. The backup is monitored by IT- F1, and can be tested very quickly and easily. The main advantage is that it requires ZERO involvement of your staff, no tapes to change no responsibility of taking them off site and remembering to bring them back, and how often have you needed a file from the back tape and successfully been able to get it back in a reasonable amount of time?? The online backup system allows the "Client" with the correct credentials to access their backups using a standard web browser and select /download the file required instantly. There are many options available with this online backup please discuss your requirements with IT- F1. System security can be a major source of concern for some business's, we can help with the identification of risk area's, restrict access to delicate data to just approved persons, we can prevent downloading to external USB devices, stop msn messenger and other IM clients if required. Another often overlooked and very important area of security is staff training, this combined with a simple "staff policy" will help to minimise the risk of your staff corrupting the system. If you pass on a virus to another organisation, or if a spammer launches an attack on others through on of your servers that has been compromised, you could be blacklisted and possibly unable to email some of your clients.